Lindberg Glucomannan Fiber Review: Is This Your Best Appetite Control? Lindberg Glucomannan Fiber is a non-prescription diet pill supplement that has been designed to support weight loss by promoting satiety. In other words, a feeling of fullness. Its claim to fame is that it helps to control appetite. If it indeed provides this benefit, this can help you to stick to your dieting goals, making it easier for you to commit to portion control and a diet that is lower in calories. When this Lindberg Glucomannan Fiber review was written, each 2 capsule serving was composed of 1 gram of Glucomannan (Amorphophallus Konjac, Tubers) and 200 mg of a Fruit Pectin Complex (from Apple Pectin and Grapefruit Pectin Cellulous Complex). Glucomannan is a dietary fiber that comes from the root of the konjac plant. Glucomannan is believed to have the ability to absorb water in the stomach and intestines to form a bulky, gel-like fiber that can treat constipation. It is also though that it might slow the body’s absorption of sugar and cholesterol from the gut, which may help to control sugar levels and lower cholesterol. In regard to weight loss specifically, the common belief is that glucomannan can create a sense of fullness in the stomach, suppressing appetite and reducing daily calorie intake. Some early research shows that taking glucomannan orally can improve weight loss in overweight obese adults and children, but not all research agrees with this. The reality is that there is no solid and consistent evidence to prove that glucomannan has an effect on appetite, especially in any way that can aid in or result in weight loss. Common side effects associated with glucomannan include bloating, soft stools, flatulence, and other digestive upset. Moreover, this herb may also interfere with certain medications, such as those taken by diabetics for monitoring blood sugar. 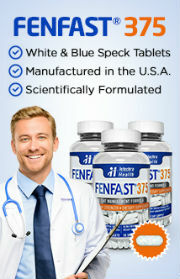 The directions for Lindberg Glucomannan Fiber is to take 2 capsules with 8 ounces of water before or with meals. This product is meant for adults aged 18 years of age and older. Keep out of reach of children. It is important to drink plenty of water when taking glucomannan pills to make sure that they expand in the stomach and not the esophagus. 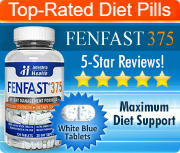 Moreover, for optimal results, you should use this diet pill in conjunction with a healthy calorie-reduced diet and fitness-appropriate exercise. 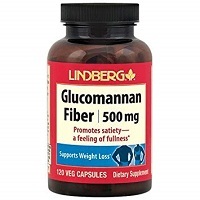 Before taking Lindberg Glucomannan Fiber, speak with your healthcare provider. This is particularly important if you are pregnant, nursing, planning to become pregnant, or currently have a medical condition or are taking medication to treat a health problem.